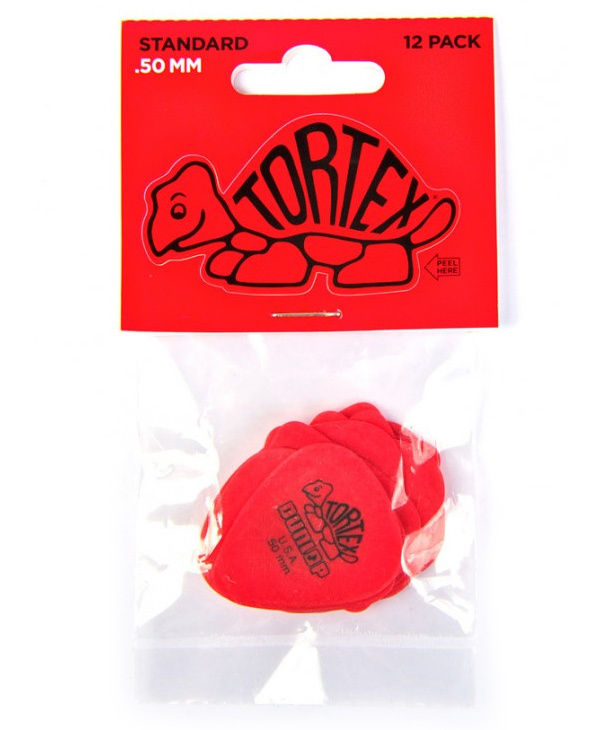 Tortex picks have been my favorite since long before i strummed a guitar. 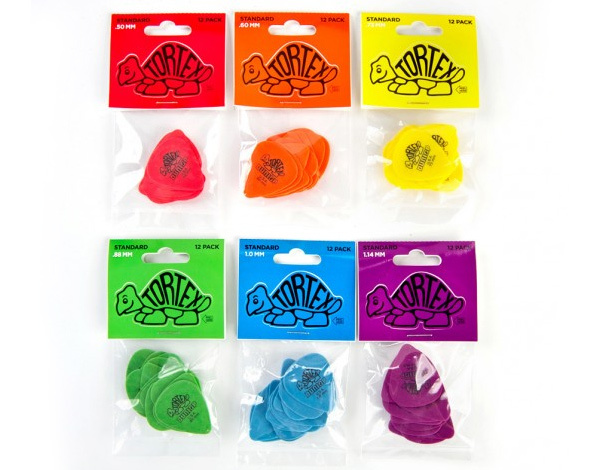 When the nice men at guitar stores would find me wandering around waiting for my dad and staring at all the picks and offer me one, i always picked Tortex. The turtle logo is just adorable! And that nice matte feel… and fun colors! 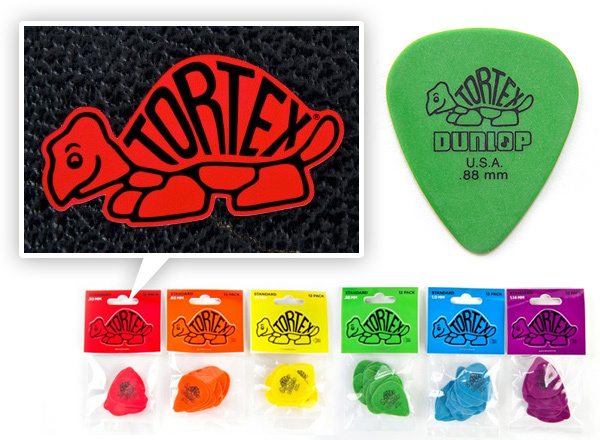 Well apparently Jim Dunlop Tortex Picks are turning 30 this year, and Lovely Package has some awesome picture of the new packaging that highlights the logo and turns it into a sticker! 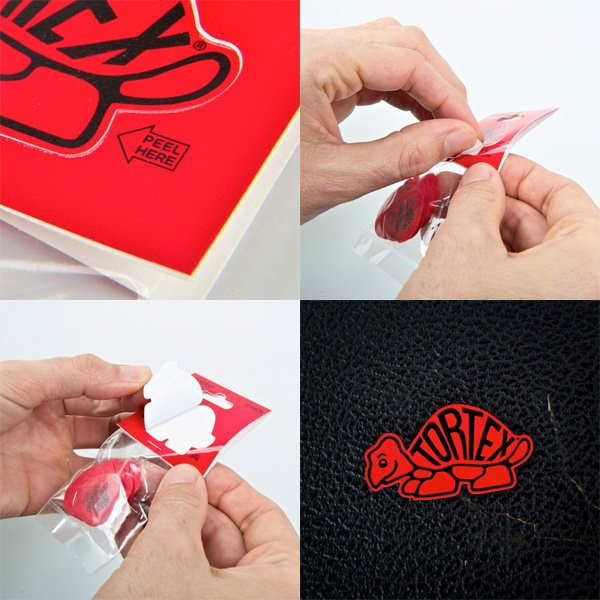 Take a peek at more pics on the next page as well as a fun “Tortex: More Than A Pick” video! p.s. 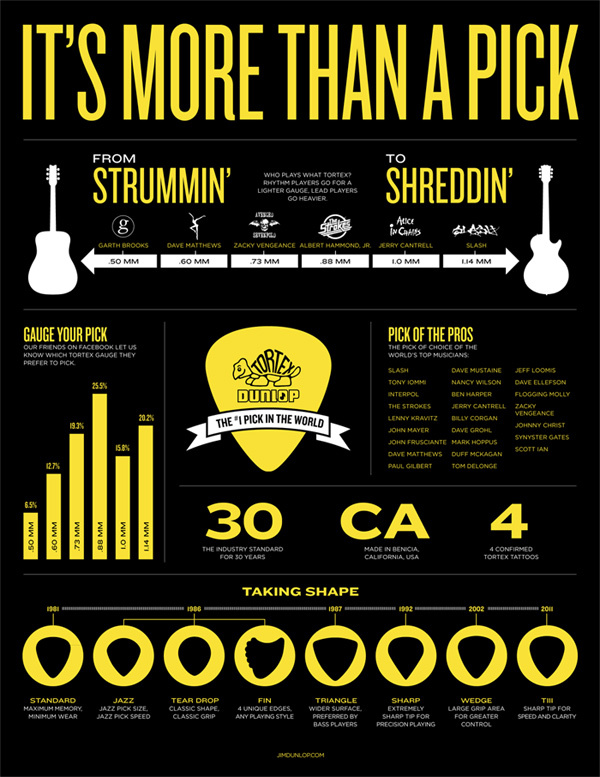 Have you see this packaging in person yet? I want to find some!